After much research finding the bike you want, the next step is the exercise bike assembly in your home. If you have never bought a piece of exercise equipment before, you may want to have someone help you install it so you can avoid any headaches or frustration. Generally speaking, bikes are the most affordable and most durable of all indoor exercise equipment you can buy. They have fewer breakable parts than a treadmill, elliptical, or stepper, and a quality bike will last for years with proper maintenance. While assembling an elliptical trainer can be complex, exercise bike assembly of an already partially assembled bike can be fairly easy. However, one person’s idea of “fairly easy” can be another person’s nightmare. Most of the bike comes pre-assembled; that is, the chain, crankset, and flywheel are already installed on the frame so all you need to add is the seat, handlebars, pedals, display console (if applicable), and the base stand. Putting together an upright exercise bike or spin bike is no more difficult than assembling a child’s bike: you will set the bike on the stabilizer bases, mount the seat post and handlebar post to the frame, drop in a bolt to add the handlebars, ditto with the seat, attach the pedals and water bottle holder, and you are all set. All of the required assembly tools such as a multi-function wrench and an Allen wrench are included in the box. Depending on the bike style – upright, recumbent, semi-recumbent, or spin bike – unpacking and assembly will take anywhere from 30 minutes to two hours. With a $500 exercise bike, you can probably do the work yourself with satisfactory results. Check out the new Amazon Exercise Bike Assembly Service Now! 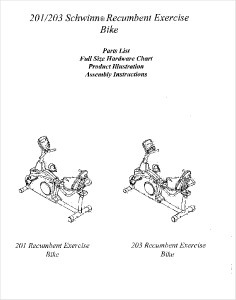 However, there are a few things to keep in mind about an exercise bike assembly process: how will you move a heavy bike to its final floor position, will you need assistance in measuring a comfortable seat-to-pedal reach, and will you be able to figure out how to use the computer display console? What will you do if the product arrives damaged, or the console doesn’t light up? If you feel you will need help with any aspect of the installation, consider hiring a pro. If any of these things will be a concern, especially if you buy a high-end bike such as a $3,000 Life Fitness Club Series, then your best bet is to go with the Amazon Bike Assembly Service. For under $100, you will have the convenience and peace of mind knowing that your bike will be assembled by a certified technician who will calibrate it, test it, and give you instruction on its features. They typically include a 90-day warranty for defects in workmanship, and cover the service with up to $1 million in accidental damage protection. The technician will also remove all packaging and debris from your home. If you are not mechanically inclined, you should pay the for the exercise bike assembly service to avoid any frustrations. 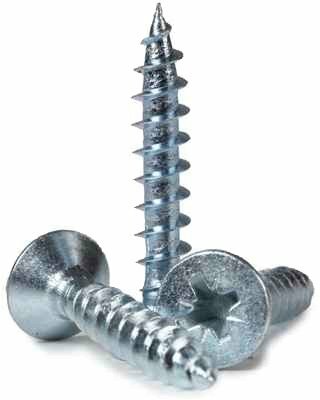 Even though there may not be that many parts to assemble, because of the heavy stress put on an exercise bike it is vital that the pedals, handlebars, and sliding seat (especially on a recumbent bike) be properly installed and the bolts tightened, but not over tightened. With proper installation by a certified technician, you can start your exercise program and enjoy your new bike without worry.